From Wisconsin Post Office Handbook, revised edition No. 3, Frank Moertl. 1999. 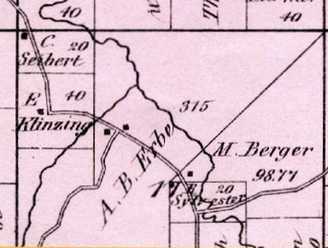 There was a Vermont Post Office with August B. Erbe as postmaster from 1867 to 1868 in section 17 which probably preceded Elvers Post Office which was located in the next section south. Moertl mistakenly put it in Cross Plains Township in his 1999 publication. This post office is also listed in the Legislative Manual Wisconsin 1868 and 1869. Approx. County Rd. J and Ryan Rd.